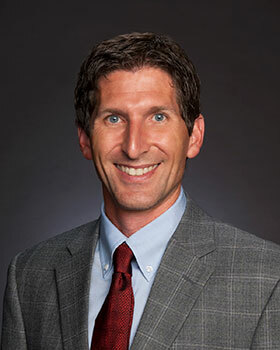 Scott Hemmerling, Ph.D. is the Director of Human Dimensions for The Water Institute of the Gulf, focusing on research related to climate adaptation and community resilience. He has more than fifteen years of experience investigating anthropogenic alterations to the landscape and the impacts of development on coastal communities. Dr. Hemmerling’s recent work with the Water Institute is focused on analyzing the societal impacts of environmental change in coastal Louisiana and developing methods to examine the linkages between human and natural systems. He is the principal investigator on the Louisiana Coastal Atlas project, a geographical study examining the effects of historical social, economic, and environmental stresses on community resilience. He is also working on several projects to develop methodological approaches for measuring socioeconomic change in coastal communities. This includes a social impact assessment methodology for coastal restoration projects and a human systems monitoring plan as part of the Louisiana’s System-Wide Assessment and Monitoring Program (SWAMP). Dr. Hemmerling also developed a statewide comprehensive water resources assessment that quantified the sustainability of both groundwater and surface water resources for current and future societal needs. Most recently, Dr. Hemmerling developed approaches to incorporate local knowledge into assessments of community resilience and the social value of ecosystem restoration projects. Prior to joining The Water Institute of the Gulf, Dr. Hemmerling was a Geographer with the U.S. Geological Survey’s (USGS) National Wetlands Research Center, based in Lafayette, Louisiana. As part of his work for the USGS, Dr. Hemmerling worked closely with the Coastal Protection and Restoration Authority (CPRA) on coastal community resilience issues and was part of the Master Plan Delivery Team and the Cultural Heritage Working Group for Louisiana’s 2012 Coastal Master Plan. He also worked with the Louisiana State Land Office on issues related to historical navigability, land rights, and public access to Louisiana’s waters. Prior to joining the USGS, Dr. Hemmerling served as a research associate with Louisiana State University’s Coastal Marine Institute, conducting research related to the impacts of oil and gas development on Louisiana’s low income and minority communities. He earned a Bachelor of Science in environmental studies with a minor in physical geography from the State University of New York at Buffalo and a Master of Science in urban studies with a concentration in applied urban anthropology from the University of New Orleans. He earned his doctoral degree from the Department of Geography and Anthropology at Louisiana State University.